Two Studies Show That Being Low In Emotional Intelligence May Be Good for You And Others! Emotional intelligence (EI) has been a very popular subject over the past 25 years, especially after Goleman popularized it with his best-selling book in 1995. EI was coined as a term by Meyer and Salovey in 1990, but the notion existed much longer, since the 1920s. EI means how good a person is in (a) understanding and managing one’s own emotions; (b) understanding others’ emotions; and (c) manipulating others’ emotions to achieve particular desirable outcomes (e.g., persuasion, followership, sympathy). 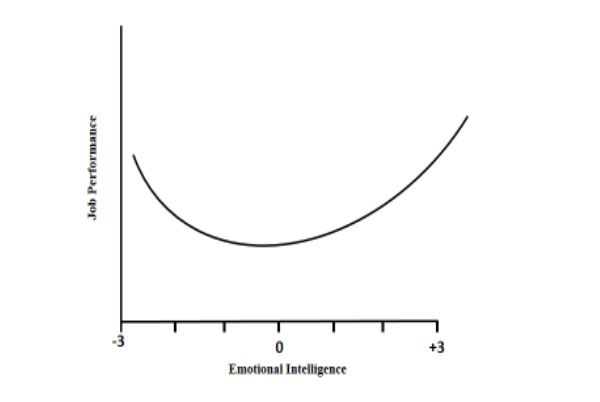 The general belief about EI, and the underlying assumption behind EI training programs that abound, is that EI is like cognitive intelligence (or as it is more widely known, simply “intelligence” or “IQ”): the more you have, the better it is. Alas, it appears that this is probably not the case. We base this view on two studies with different methodologies and different populations conducted by Nikos Bozionelos of EM Lyon Business School in France and his associates. In the first of these studies, that appeared at the end of 2017, Bozionelos and Sanjay Kumar Singh of Abu Dhabi University looked at how EI relates to how well people perform in their jobs. In more scientific terms, they investigated the relationship of EI with a variety of job performance indicators: (a) task performance (how well the person performs on the technical aspects of the job); (b) helping organizational citizenship (whether the person goes beyond formal role requirements to help colleagues and others at work); and (c) voice organizational citizenship (whether the person makes suggestions about improvements of existing practices and procedures). These three indicators provide a holistic idea of how well a person performs on the job. Bozionelos and Singh asked supervisors to rate their subordinates on these performance indicators, and they took measures of subordinates’ EI asking them to complete a valid EI scale. They also took into account many factors that may influence job performance, like education, age, work experience, the type of industry, etc. This way, they were sure that their findings reflected purely the relationship between EI and job performance. Bozionelos and Singh approached their data with quadratic equations instead of strictly linear equations that had been utilized so far when EI was studied. Their analysis showed that, in the majority of cases, the relationship between EI and job performance was U-shaped. In plain terms, this means that, overall, having low EI is nearly as good for job performance as having high EI! And those who are “worse off” are those who find themselves in the middle — that is, those who have “average” EI. Those are the people who were ranked lowest by their line managers not only on actual work output but also on how helpful they were beyond formal tasks and how much they contributed with suggestions for change and improvement! The figure below depicts the typical U-shaped relationship found in the study. Bozionelos and Singh did not consider the findings surprising – though there were rather surprised at how consistent the findings were across the board. As they note in the article, the findings were, for the most part, anticipated because EI is not “intelligence” in the traditional sense, but an intricate expression of multiple personality sub-traits interacting together instead. Hence, for example, people who score low on EI are less likely to be concerned with the emotions of others, which may make them more prone to make suggestions that challenge the status quo: though this may “hurt” others’ feelings, it can often be beneficial for the workgroup or the firm. 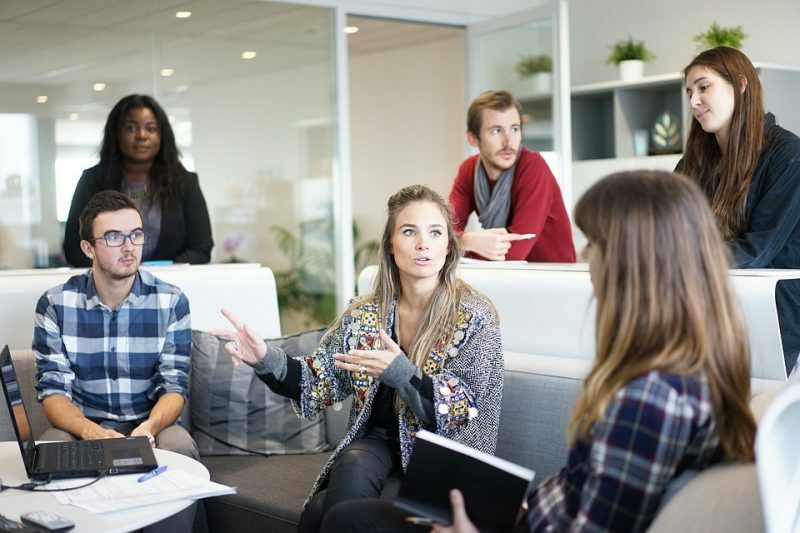 In a second study, which was published in the latter part of 2018, Bozionelos and Giorgos Bozionelos, a clinical psychologist working for a hospital in Athens, Greece, looked at how EI relates to workplace social capital. Social capital means the information (for example, to get to know about a job opening), the influence (for example, to gain access to a person of importance whom we do not know personally), and the solidarity (for example, to receive support when lobbying for something that serves our own interests), we have access to by means of our social ties with others. Social capital is beneficial in both work and personal life, many studies have shown that people with more social capital do better in their careers (find jobs and better jobs more easily, are more likely to be promoted and reach high corporate levels), but also demonstrate more psychological and physical health. The social ties that give us our social capital can be strong (showing intimacy and frequent interaction, such as the relationship with a mentor or a mentee, or with those few colleagues we consider “close”) or weak (representing more superficial relationships, such as simple acquaintances with others at work). Both strong and weak ties are important. Bozionelos and Bozionelos conducted their study in the financial industry of Britain and asked 172 individuals who were occupying medium or high responsibility positions in various functions within that industry to complete instruments that measured their EI, their social capital, and their personality. Their findings showed that in two out of three cases the way EI was related to workplace social capital was again U-shaped (a more accurate expression would be “tilted U-shaped”). Specifically, the findings showed that often those who scored lowest on EI were not those who had the least social capital. Instead, in many cases, those with the least social capital were those who scored moderately low or “average” on EI. There were two aspects of that study that are worth mentioning: first, it took into account personality, which also relates to social capital. Because EI is rooted in personality it was crucial to remove the “plain” effects of personality from calculations; which assured that the findings were not “contaminated” by the effects of personality; second, the instruments to measure social capital were immune to the influence of social desirability – the natural tendency of most people to present a “favorable” image of themselves – that could have led those with low EI to inflate their social capital. These safeguards give additional confidence to assert that findings were an accurate reflection of reality. Again, these patterns were not surprising because as we have seen EI – despite what the term implies – is not “intelligence” but a complex expression of personality instead. And we know well that being low on some personality traits (like, for example, extraversion or neuroticism to mention a couple that most people must be familiar with) can be advantageous depending on the task or the situation. Below we give some illustrations that explain why low EI can be advantageous for establishing ties with others at work and thereby accumulating more social capital: one of the characteristics of low EI is low control over impulses. This, however, may sometimes be beneficial in establishing ties with others because by means of the absence of social inhibitions the person is more prone to actively initiate relationships with others in the workplace or in other spheres of life. As another example, people with low EI are not very good at regulating or managing the display of their own emotions. This, however, may make them appear more genuine in social interactions and can “gain” them friendships. Overall, those two studies – the first of their kind – show that with EI the rule “the more you have the better it is” does not apply. In many cases, low EI can be nearly as advantageous as high EI, and it appears that those who are mostly at disadvantage are those who are around the “average” as far as EI is concerned. A key implication of the findings is that they challenge the idea behind EI training (such training abounds, and is often successful in increasing people’s scores on EI), because EI training is based on the philosophy that higher EI is always better. However, these studies show that, for example, moving with training someone from “low” to “average” on EI does harm both to that person (lower job performance, fewer chances to accumulate social capital) and probably to his/her work unit or firm. These findings are described in the articles entitled The Relationship of Emotional Intelligence with task and contextual performance: More than it meets the linear eye, and Trait emotional intelligence and social capital: The emotionally unintelligent may occasionally be better off, recently published in the journal Personality and Individual Differences. This work was conducted by Nikos Bozionelos from EMLyon Business School and Sanjay Kumar Singh from Abu Dhabi University; and Georgios Bozionelos from Sotiria General Hospital and Nikos Bozionelos from EMLyon Business School, respectively. Nikos has expertise in Human Resource Management, Organizational Behaviour, Career Management, Cross-Cultural Management, and Research Methods. He has taught and delivered seminars in the United Kingdom, France, China, USA, the United Arab Emirates, Greece, Serbia, Romania, Australia, Singapore, Germany and Norway. His main research interests include antecedents of career success, workplace mentoring and networking, employability, the role of personality in the work environment, High Performance Work Systems, workplace abuse, and self-initiated expatriation. His publications have attracted nearly 4,000 citations, and he has one of the highest individual impact factors for research (hI) in Europe. He has appeared numerous times in the media as speaker for his own research and as expert. He is British and Greek national.